Crossover SUVs remain the most popular vehicle on the U.S. market, but these models can’t compete with the style and capability of a sedan. If you like the look and handling of a sleek sedan, then you might have your eye on the 2019 Toyota Camry. After a fresh redesign in 2018, the 2019 model stays relatively the same with the addition of Apple CarPlay and Amazon Alexa. With all its charms and accolades, this sedan is fully equipped to take on even the strongest competition. To best showcase the 2019 Toyota Camry and its capabilities, we put it head to head with the 2019 Honda Accord. 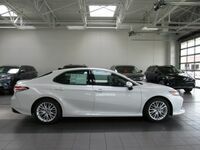 See the new 2019 Camry at Le Mieux Toyota today! Perhaps the 2019 Honda Accord’s greatest advantages are its powerful engine options and sporty driving experience. 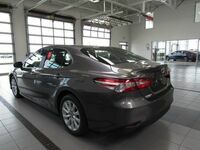 However, the Accord can’t compete with the Camry’s lower starting MSRP, comfortable cabin, quick acceleration or wide variety of premium features. 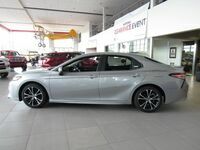 Unlike the 2019 Honda Accord, the 2019 Toyota Camry is standard with Apple CarPlay, Amazon Alexa, navigation, keyless entry and a Wi-Fi hotspot. The 2019 Toyota Camry’s cabin is truly luxurious with plush seats, plenty of room to stretch out and amble head- and legroom. 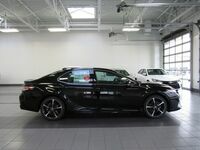 Best of all, the new model is now available at Le Mieux Toyota. We invite you to explore all the features and capabilities of the new sedan with a test drive today! Our friendly team of Toyota experts can answer any questions you might have and help you find the perfect vehicle for your budget and style. Stop by and see us!